Within this industry the SME Associations (PIMEC, PSPC and SolMa) represent over 1,000 SMEs in the heat pump manufacture, solar thermal system manufacture, design and installation sectors. 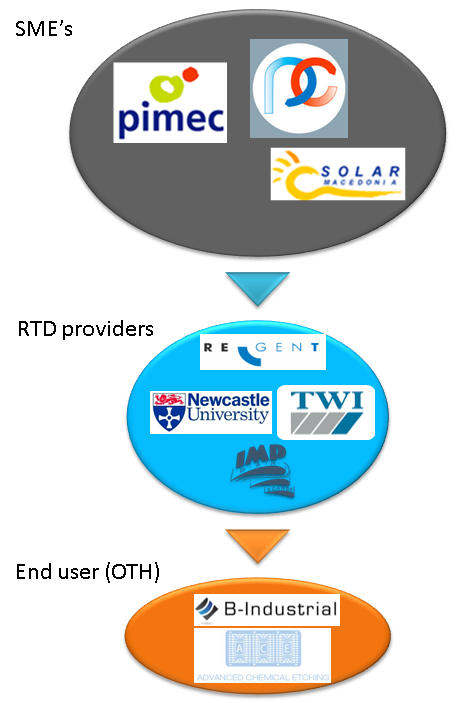 Led by these associations the RenewX consortium consists of European SME associations, SME end users and some of Europe’s leading research associations. The consortium proposes to develop new platform technologies relevant to industries and markets across Europe.